"It would be wise to kill me." Darth Maul is a character who wowed audiences in his debut, only to promptly disappoint them in his somewhat hasty exit. Still, many will offer him up as the best part of The Phantom Menace. The fact that audiences didn't get to know him all that well makes his story ripe for telling and Dark Horse is doing just that in Star Wars: Darth Maul - Son of Dathomir #1. The issue is written by Jeremy Barlow, illustrated by Juan Frigeri, inked by Mauro Vargas, colored by Wes Dzioba and lettered by Michael Heisler. Imprisoned by Count Dooku and yearning to get back to his secret network and home base rife with Mandalorians, Darth Maul isn't quite the ferocious beast that he once was. Getting cut in half by Obi-Wan Kenobi and being rejected by his former Sith master Darth Sidious isn’t going to defeat Darth Maul though. 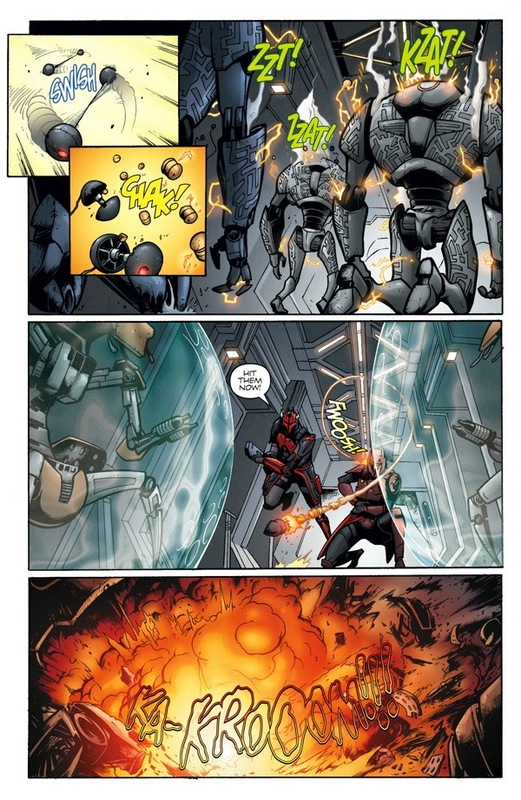 In fact, it only makes him mad enough to take on the galaxy—with an army of Mandalorians at his back. Darth Maul was arguably the most popular character to come from the new trilogy, making both his debut and exit in The Phantom Menace. He was a Sith lord capable of making the audience forget (at least temporarily) about Darth Vader, despite Maul's rather innocuous end at the hands of Obi-Wan Kenobi. 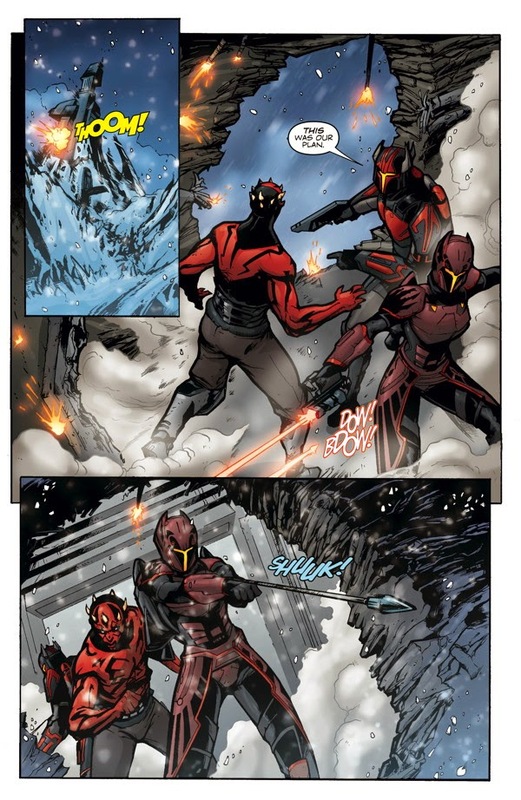 Barlow taps into his revival as part of The Clone Wars and picks up where the show left off with his story. Maul is every bit as feared as he was presented in both original sources, but the first issue reads a little on the formulaic side. All the characters are essentially moving from point A to point B in order to get the series to point C. It's not exactly bad, yet it feels a little too straightforward. There are also some instances of dialogue that feel a little too comedic and undercut the presume drama involved with Darth Maul's escape. Part of the reason why Darth Maul was so feared had to do with his devilish look and Frigeri does a great job capturing that for the book. Not only that, but the Mandalorians look to be the feared hunters that the remainder of the Star Wars universe knows them to be. Character anatomies are pretty solid and effectively differentiate the different races and Darth Maul seems to have a perpetual scowl on his face. Frigeri handles all the action and combat very well, reminding the reader that there's not really a peaceful day in the Star Wars universe. Panels are presented in a rather interested way, with them stacked atop another in a look that favors puzzles. 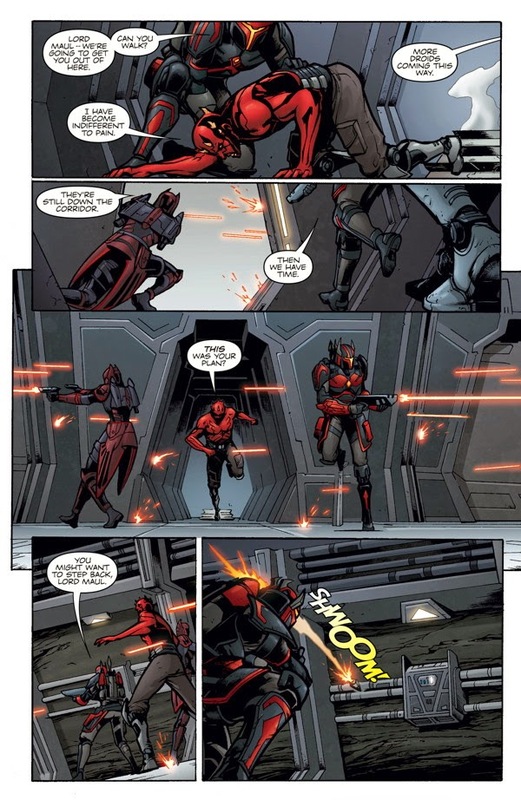 Star Wars: Darth Maul - Son of Dathomir #1 is a very ambitious foray into one of the least respected characters in the Star Wars universe in Darth Maul. 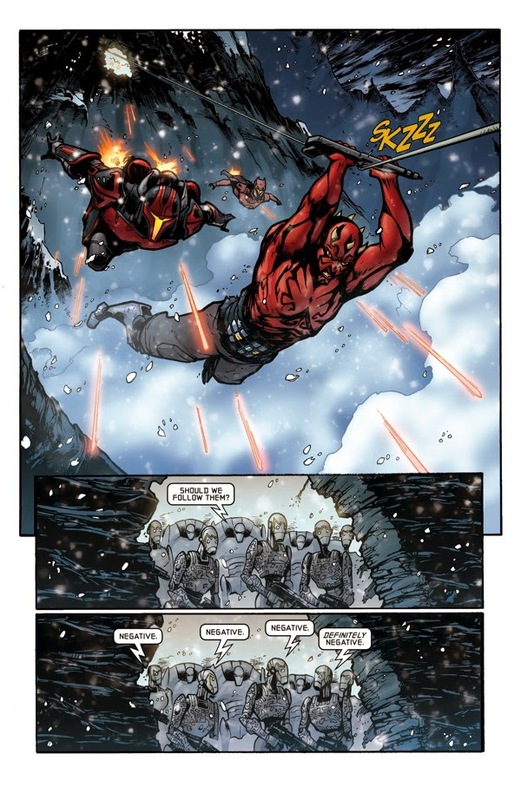 The thing is though that most of the issue (and presumably story) is spent on using him as a pawn for a greater story, which occurs at the expense of giving the reader more insight in Maul himself. Barlow does a pretty good job with a script that moves at a decent pace, yet suffers from some awkward dialogue at times. Frigeri infuses the book with a Star Wars look that makes the reader feel as if they're in the universe alongside the droids and Sith. 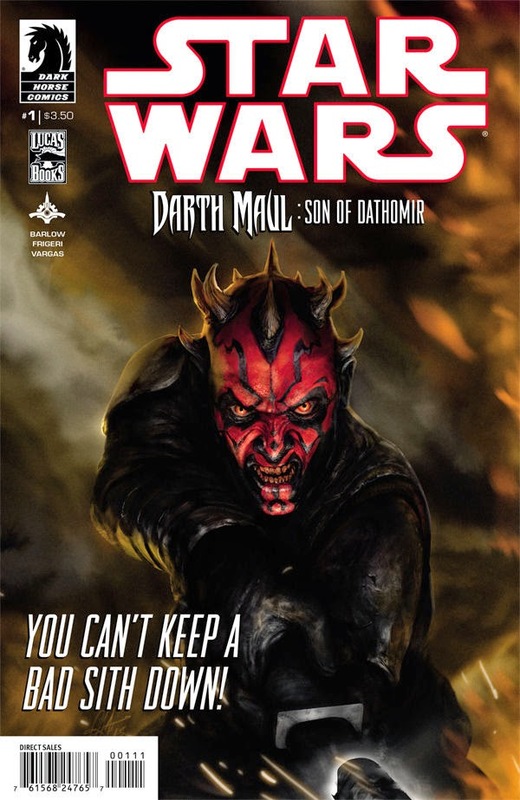 Star Wars: Darth Maul - Son of Dathomir #1 is a book that die-hard Star Wars fans will want to check out, but if you're hoping to learn more about Darth Maul, you might not get exactly what you're looking for. Star Wars: Darth Maul - Son of Dathomir #1 is in stores now with interiors below.